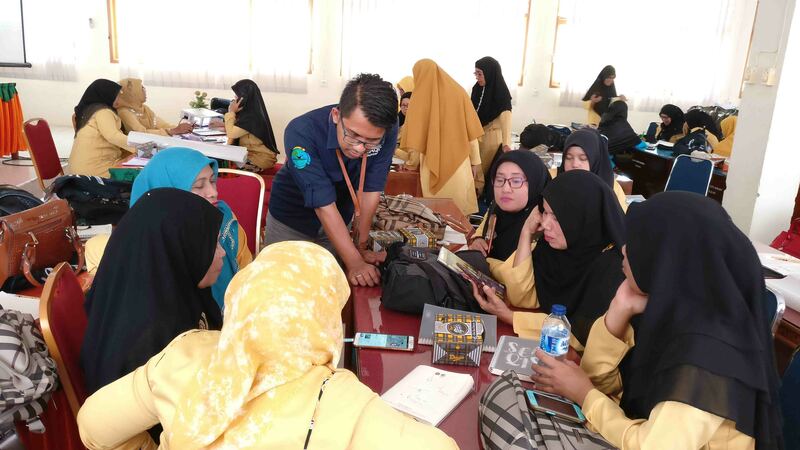 SEAMEO QITEP in Science in collaboration with Department of Education and Culture of Solok City conducted a Training on Integrating STEM to 2013 Curriculum for Science Teachers at SMPN 5 Solok on 25 – 27 October 2018. 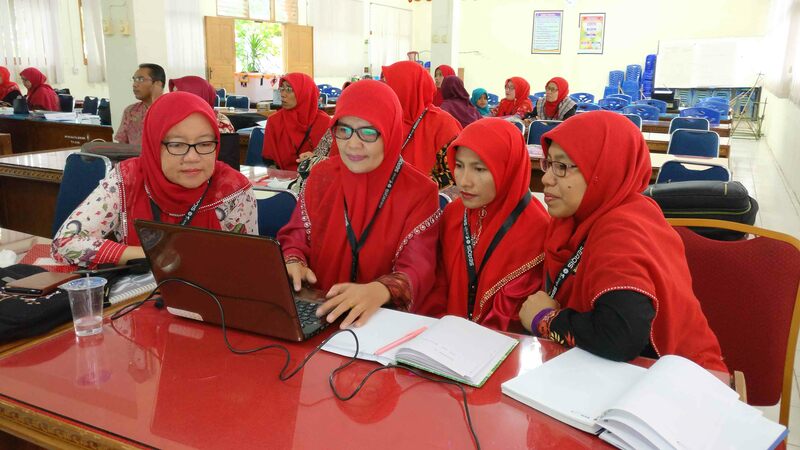 A total of 34 science teachers of Junior-Senior-Vocational High School in Solok City participated in this training. The training aimed to understand STEM-based learning and to integrate STEM learning into 2013 curriculum. The training was facilitated by Mr Lukman Nulhakim, M.Pd and Mr Heri Setiadi, M.Si from SEAQIS. Dra Hj. 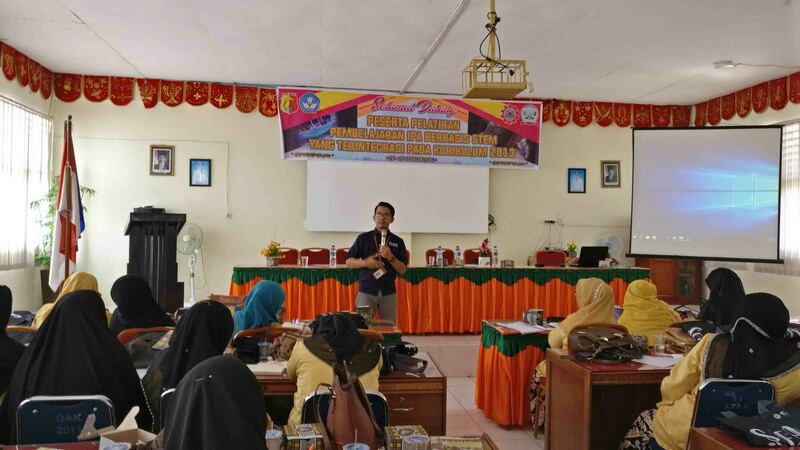 Mursiati, MM, the Head of Kota Solok Education Office officially opened the training and delivered a welcome remark. She highlighted about national exam achievement of SMPN students in Solok recently. Furthermore, she expected the Science teachers’ competencies were increasing through this training, then the students’ national examination can increase as well. 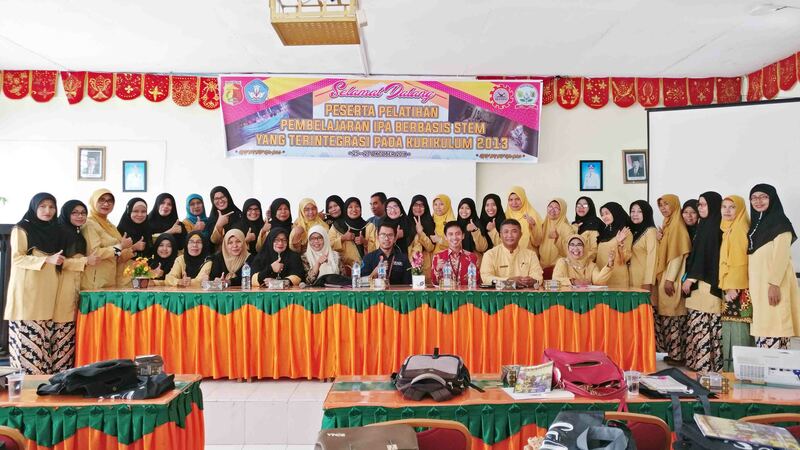 The three days training was started with a 21st education and STEM philosophy delivered by Mr Lukman Nulhakim. 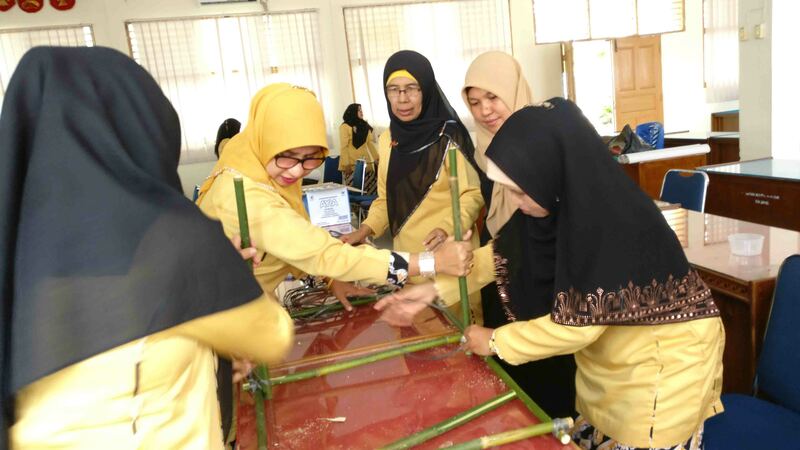 Mr Heri Setiadi delivered STEM characteristic, followed by STEM activities using bamboo. The participants were asked to build a tool through engineering design process. On the second day, the participants focused on making a STEM-based lesson plan. They analyzed the 2013 curriculum to identify basic competencies that can be achieved by STEM learning. The last activity was presentation and discussion to inform participants’ lesson plan. The training was concluded by evaluation facilitated by Mr Lukman Nulhakim. 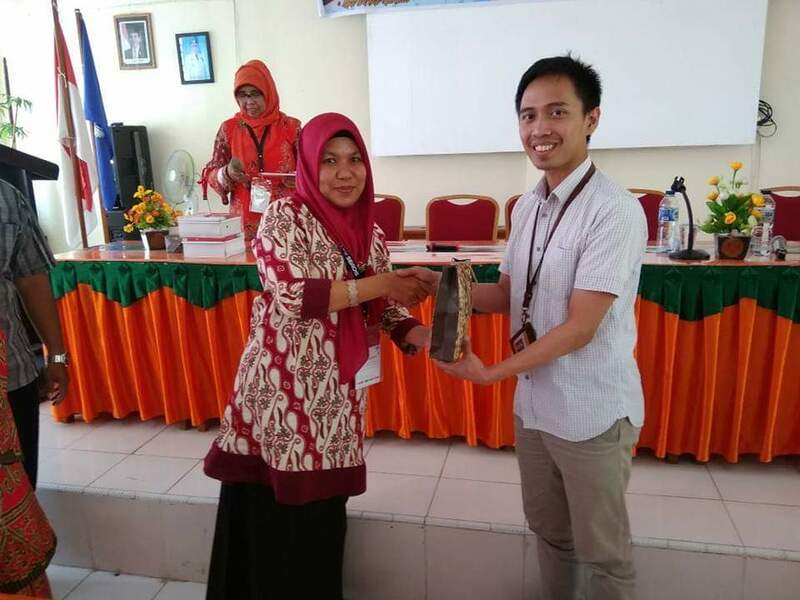 The representative of Department of Education and Culture of Solok City delivered a closing remark and closed the training officially.